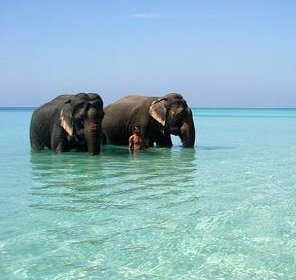 Just off the coast of Kerala, there are a widely scattered group of coral islands, collectively known as Lakshadweep. It is dotted in the blue water of the Arabian Sea that stretches out another world in itself. With soft sandy beaches and the glory of sun, the flock of 35 islands coalesced with lush green landscapes and splendid beaches that offer all kind of activities like snorkeling, diving, etc. The entire scene embraces splendid lagoons, miles of sun soaked sand, and the fascination of swinging palms. Over here, you will find coconut canopies that will be your tallest formation in the area. 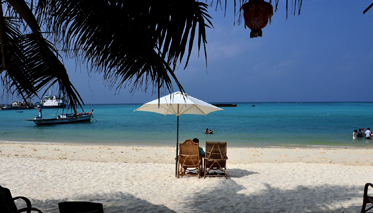 All these make Lakshadweep a popular tourist destination for beach lovers. 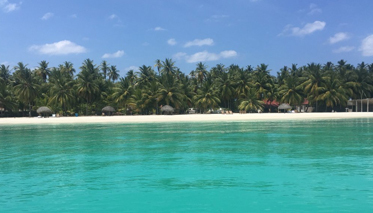 This charming secluded destination has 10 inhabited islands namely Chetlat, Amini, Agatti, Andrott, Bitra, Kadmat, Kalpeni, Kiltan, Minicoy and Kavaratti. 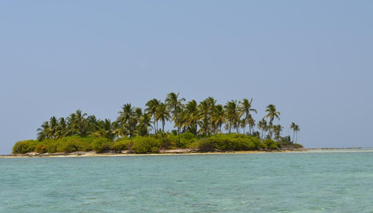 It's the smallest Union Territory of India with 5 submerged banks, 3 reefs and 12 atolls. Unleashed in the azure Arabian Sea, the islands cover an area of 32 square km and cross over 30,000 square miles of the Arabian Sea. 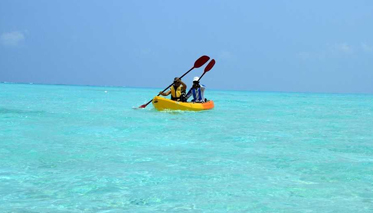 For vacationers, Lakshadweep is a beautiful destination of serenity, splendor and adventure. There are various accommodation options available all around Lakshadweep ranging from luxury resorts to reasonable hotels. Staying amidst the islands gives great feeling here as all hotels and resorts are available with modern facilities where you can spend your night with comfort and pleasure. It's a beautiful beach perfect for water sports activities, swimming and savoring on warm sandy beaches. There are many historical monuments and mosques, which can be visited in Kavaratti. Marine life showcase on the other side can also be seen in aquarium. You can hire kayaks or sailing watch and relish the striking marine life by glass bottom boats. 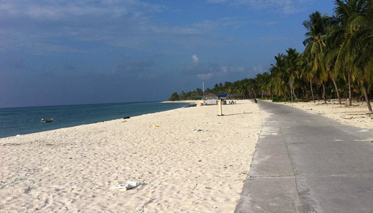 It is the southernmost island in the archipelago of Lakshadweep that highlights the Maldivian effect. It has a rich culture and the lighthouse of this island is one of the major attractions for visitors. It's a second largest island with a cluster of 10 villages and has a major center for tuna fishing. This place is famous for its lava dance. 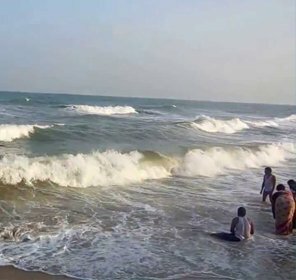 Situated at the distance of 407 km from Cochin, this beach has a huge lagoon, long sandy stretches, huge coral growth and various other attractions. 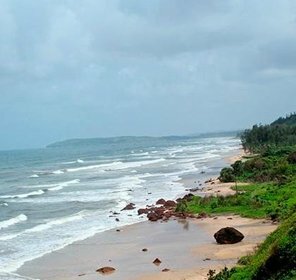 It's an ideal spot for water sports activities and the bewitching scenes are the long sandy beaches and the banks of sand on the southern tip for sun bath. No doubt, the place is perfect for holidaying with your loved ones as it brings you away from the hustle and bustle of your city life. This beach is extremely fascinating and uninhabited, which is circled with a constant glory of creamy sand. It's one of the perfect gateways of the world where you can view the sand, sun and surf casting spellbinding predicts on the visitors. It offers the tourists privacy, uncontaminated surroundings and plenty of activities like scuba diving, windsurfing, water skiing, parasailing, snorkeling, and many more. It offers an excellent manifestation of coral reefs and coconut palms swinging in sea breeze. 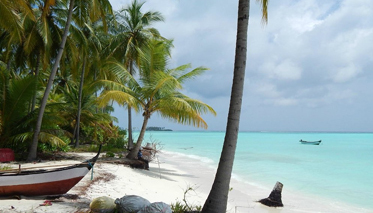 It's an ideal gateway for the Lakshadweep islands. 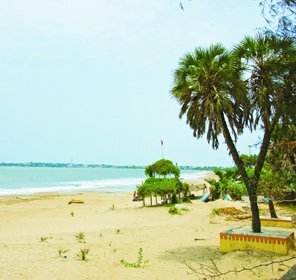 It's an isolated and uninhabited beach that is perfect for sunbathing, swimming and other water sports activities. 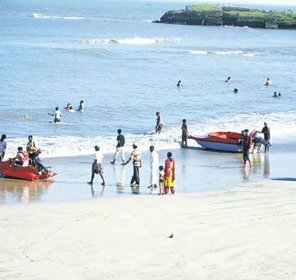 There is a famous Water Sports Institute located at Kamat Island that offers facilities for all kinds of water activities to its visitors like yachting, canoeing, snorkeling, kayaking, wind surfing, water skiing, boat trip with lagoon, etc. Dolphin Dive Center on the side is the perfect spot for scuba diving. Apart from such water sports activities, you can also spend your quality time in shopping as there are some shops that offer beautiful range of handicraft items that are made up of seashells. 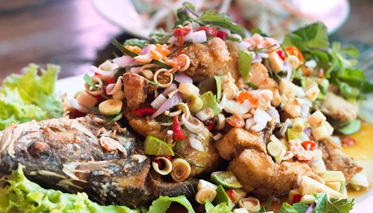 After shopping, you may try the tasty seafood, tuna fish, etc., in nearby restaurants. October to April, So, plan for holidaying in Lakshadweep with your beloved or loved ones and enjoy the real beauty of the islands. You can choose the best deals on holiday packages offered by Tour My India and live your dreams with joy. 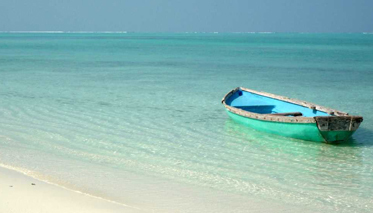 How to Reach Fort Lakshadweep? 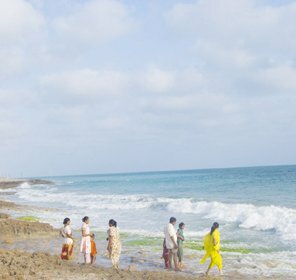 Regular flights are available from the Agatti Airport of Lakshadweep to Kochi, which is the capital of Kerala. Cochin International Airport is well connected to other major countries. There are around 2000 railheads in Kerala that link destinations within and outside Kerala. 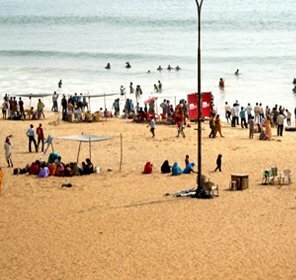 It is well connected to other major cities like Chennai, Mumbai, Delhi, Goa, Kolkata, etc. You can avail ship that ply between Kochi and Agatti. It takes around 20 hours to reach the destination by ship. All cabins are air-conditioned and available with all kinds of facilities.